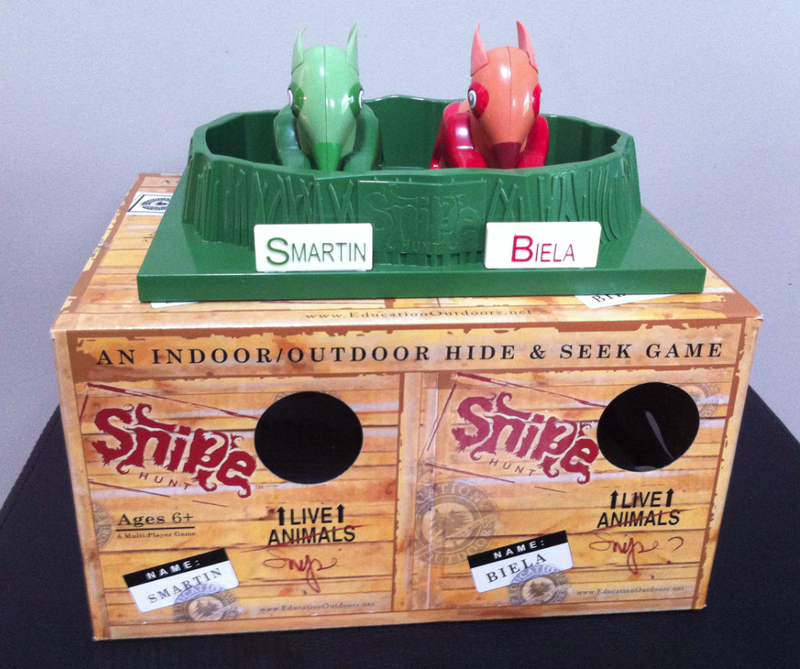 REVIEW: Snipe Hunt - An Indoor/Outdoor Hide & Seek Game! This was a new favorite game from the get go! My kids LOVE the Snipe Hunt Game from Education Outdoors! It's an indoor/outdoor game where you hide the snipe and then look for it (simple right?). What I love about it is after 2 and a half minutes the Snipe will start chirping giving the seeker a clue to where it is. THEN after another 2ish minutes if it still isn't found the eyes will start lighting up! That makes it a fun game to play in the dark too! My kids will play this until we send them to bed. My husband will usually hide one in 2 different rooms....they get so giddy!! The game really is simple, you can play with 2 players or 2 teams. I could not believe how much fun my 2 and 4 year old were having with this! They want to play it every day when their Dad comes home. It's great for the little ones too that have a hard time finding things anyway...they search and search and when they hear the first chirp they get SO excited! Snipe Hunt retails for $24.99 and can be purchased at specialty retailer nationwide. 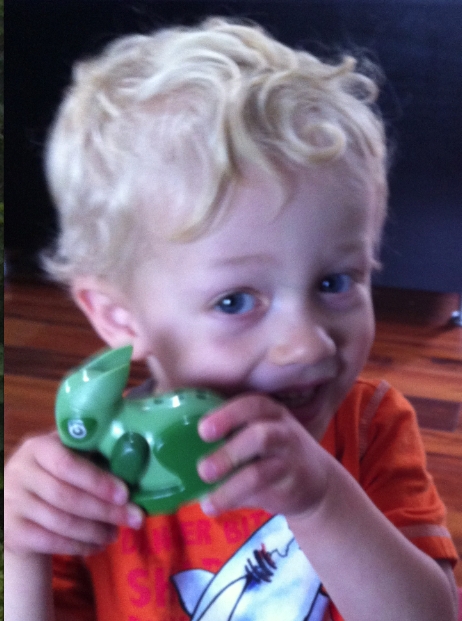 It is a high quality toy that my family will enjoy for many years! The snipes are sturdy and do not feel cheap at all. It has lasted about a month so far with my high energy kids and the Snipes still look brand new. With my 2 year old there aren't too many games that we can all play together so I'm glad we now have the Snipe Hunt around for us all to enjoy! I received the above game for review purposes. No other compensation was received. All opinions are 100% mine.